An article in the April 1960 Railroad Magazine sure caught my attention and prompted youthful thoughts of a possible adventure. 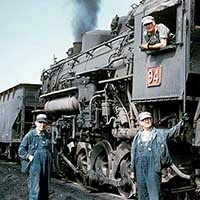 According to the story, thirty-one steam locomotives were still very busy on the 39-mile Sydney & Louisburg Railway hauling coal at the northeast end of Nova Scotia in Canada. 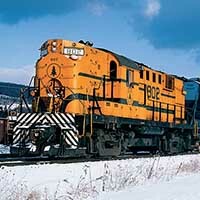 It may be hard to believe but there once was a time when the Genesee & Wyoming Railroad was a single 14.5 mile railroad in western New York state, not the owner-operator of more than 120 railroads that has spread fleets of orange colored locomotives to three continents. 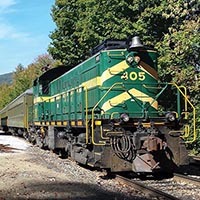 If it weren’t for the paper industry, you probably would never have heard of the Maine Central Railroad. Railfans found the railroad to be a great target for their cameras. 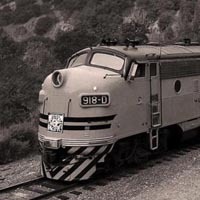 The motive power was well-maintained and painted in a very attractive scheme. 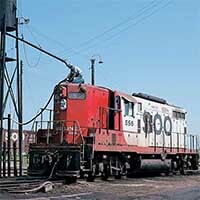 Most of the Soo Line’s trackage runs through the rural landscape of the lightly populated upper Midwest. That belies the importance of this rather quiet railroad that never really acquired the celebrity status of other carriers. 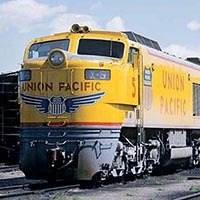 If the Penn Central merger that brought the Pennsylvania Railroad and New York Central together was a disaster, what would you expect to get when you add five more ailing bankrupt carriers? 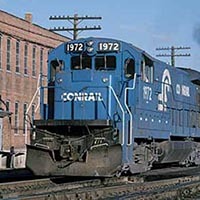 That’s what the managers of Conrail were faced with on April 1, 1976. 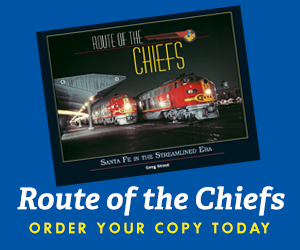 There is one thing for sure, it was one of the most interesting times to be a railfan! 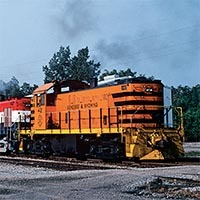 It sounds like the roar of a jet engine coming around the sharp curve at Summit’s west end and coming into view with a heavy eastbound drag is what appears to be another snub-nosed diesel in UP livery. It looks like a diesel carbody, but sounds like an airplane struggling to become airborne. It’s too late to experience the old Western Pacific in the hills of California… Or is it? Just because the trains are simulated at a museum or tourist railroad, does it make the experience any less real?